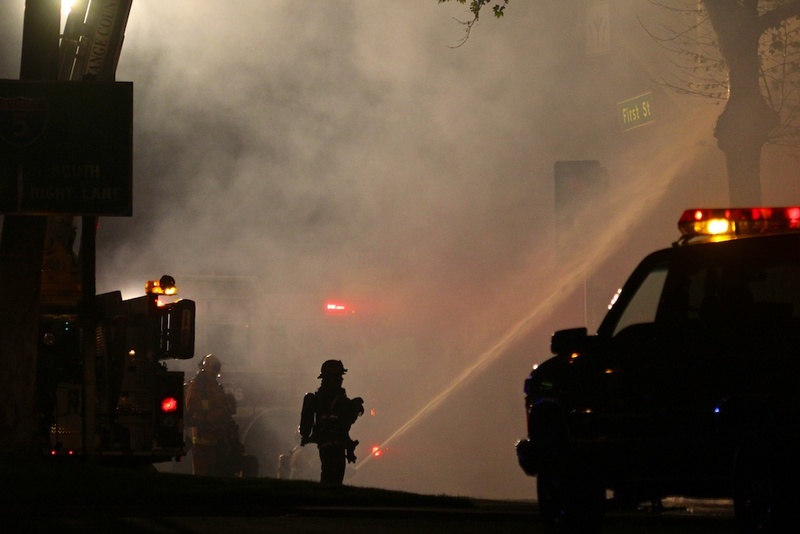 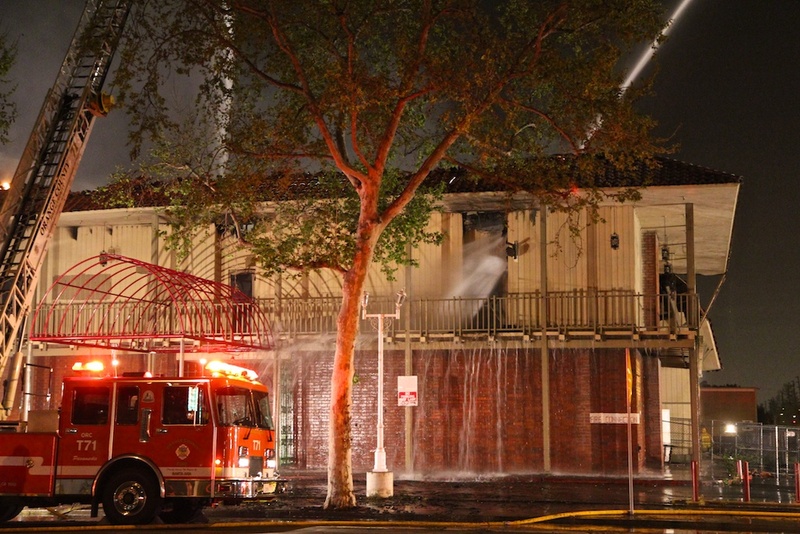 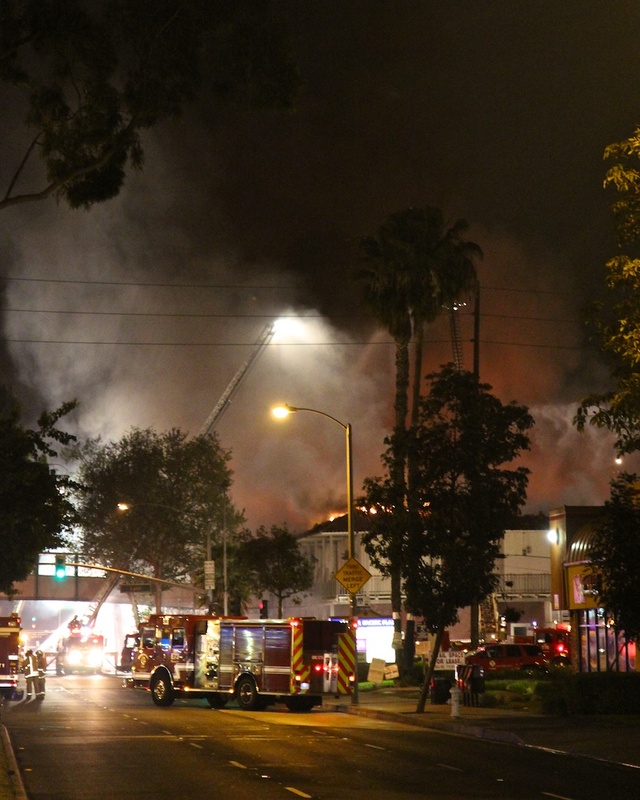 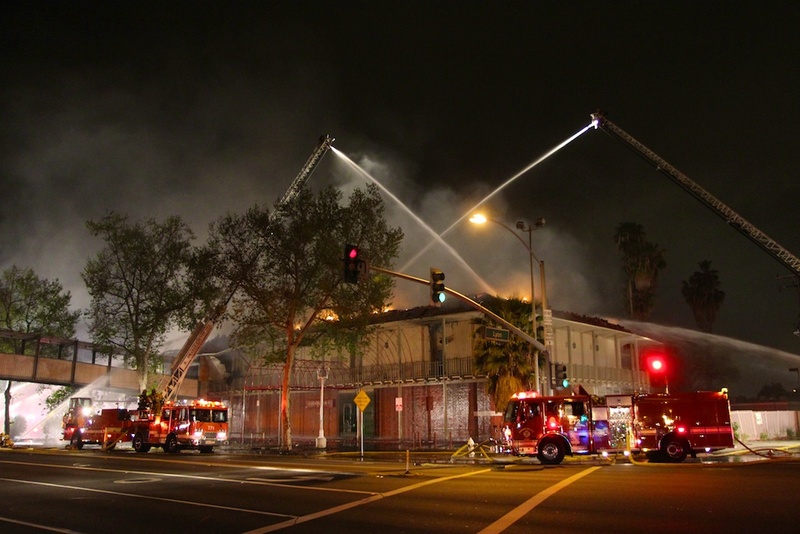 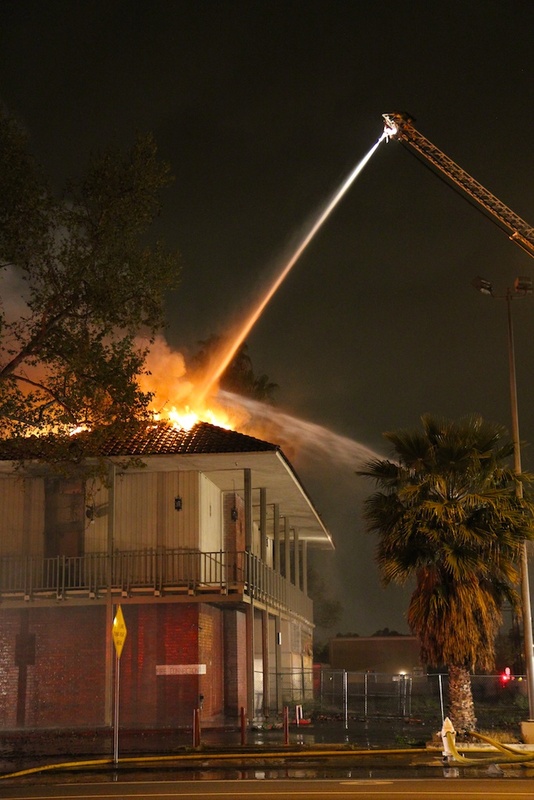 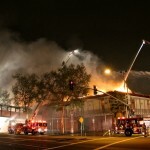 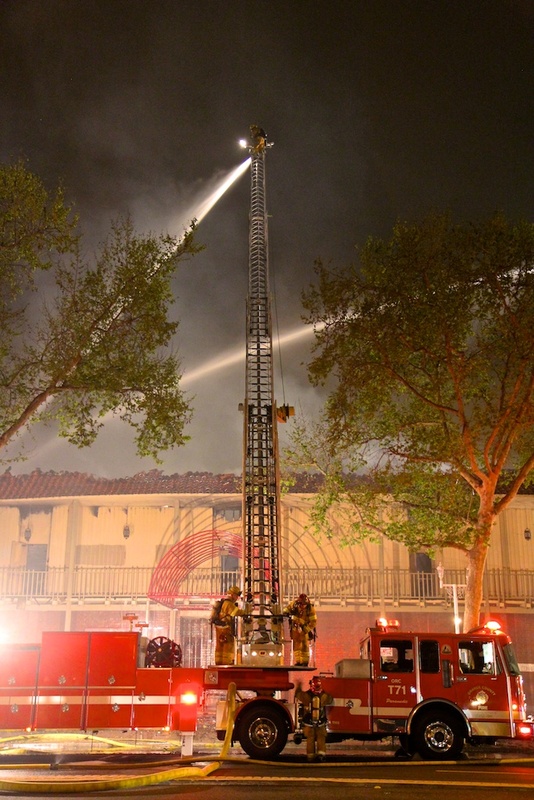 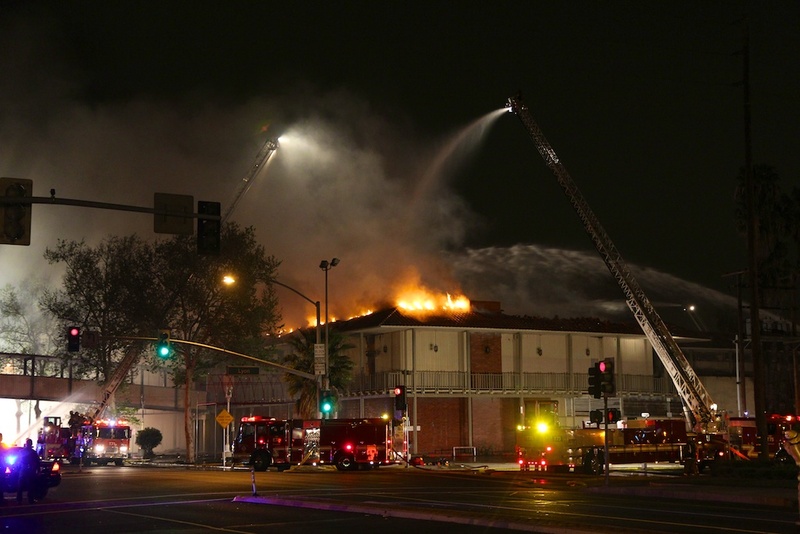 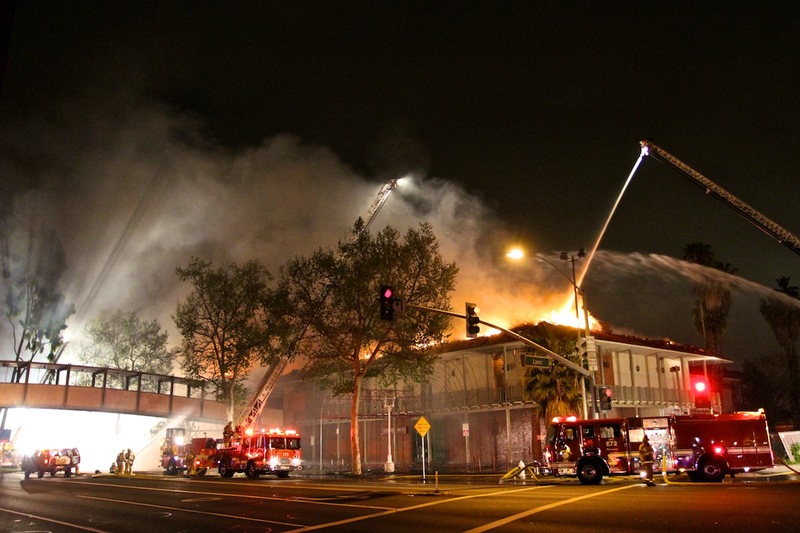 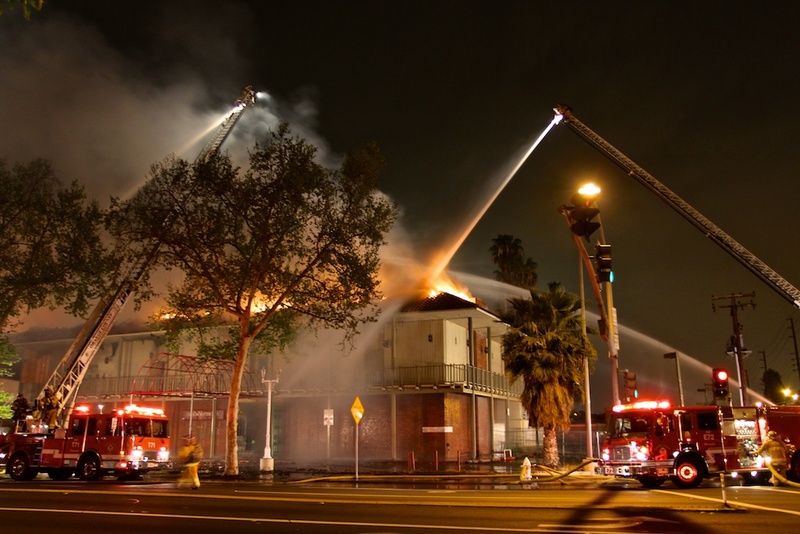 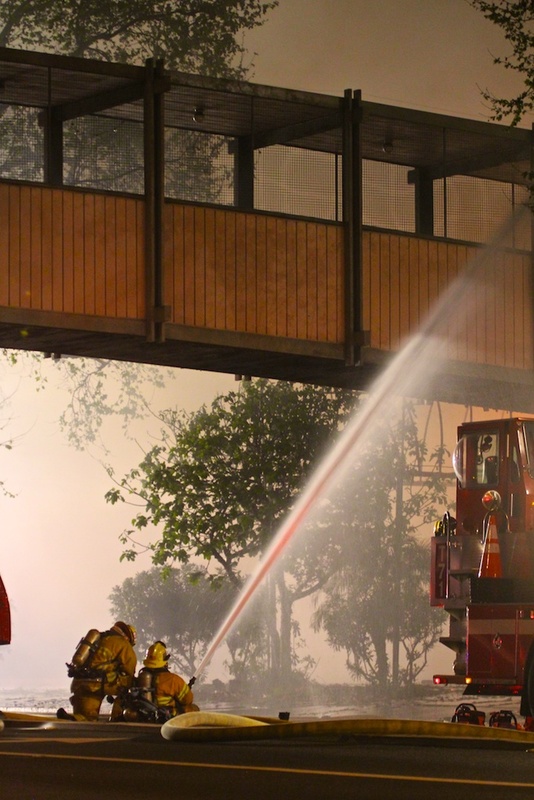 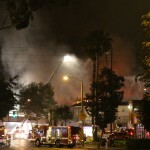 Late on March 29, 2013 and into March 30, the old Saddleback Inn in Santa Ana, California caught on fire and was severely damaged in a blaze that could be seen for miles. 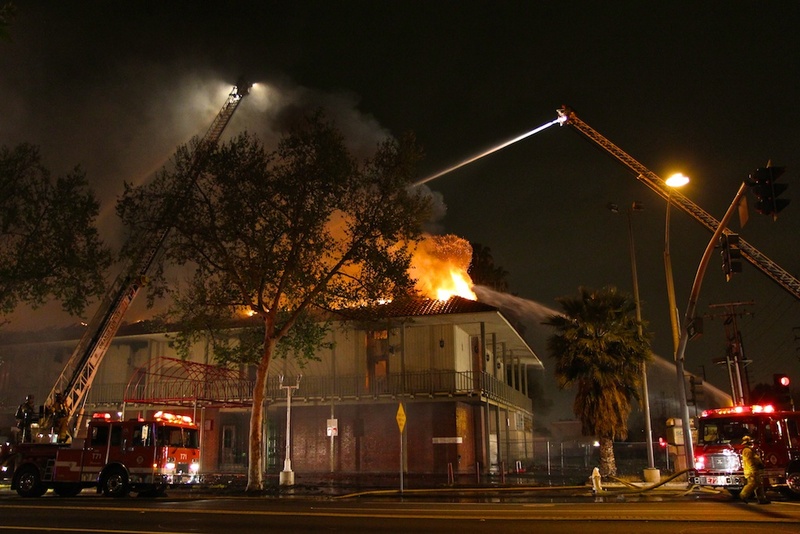 It was apparently empty, and perhaps owned by the city. 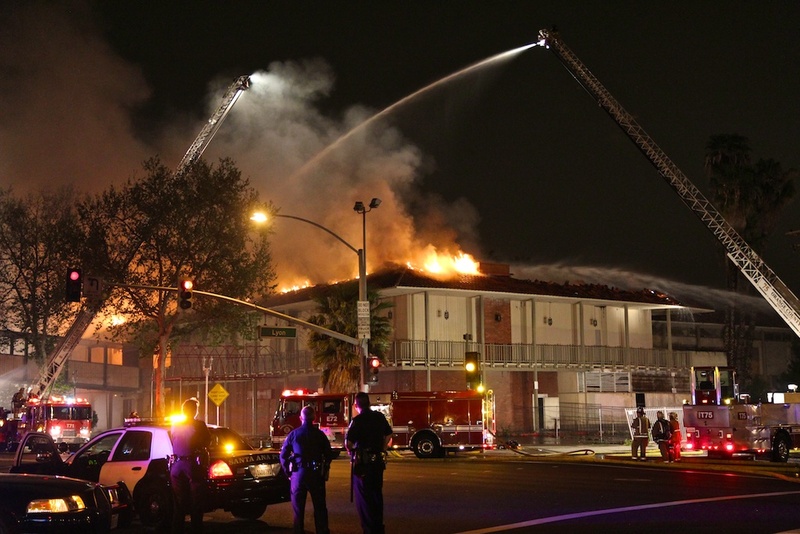 It’s position across the street from the Santa Ana Zoo, near the 5 Freeway, and next to the local Elk’s Lodge made it once a very prominent and central location. 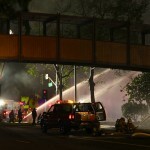 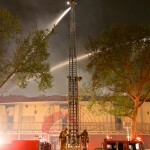 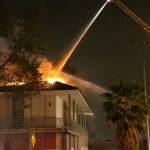 I arrived a bit late, and while much of the fire was out, I still watched portions of the roof loudly collapse. 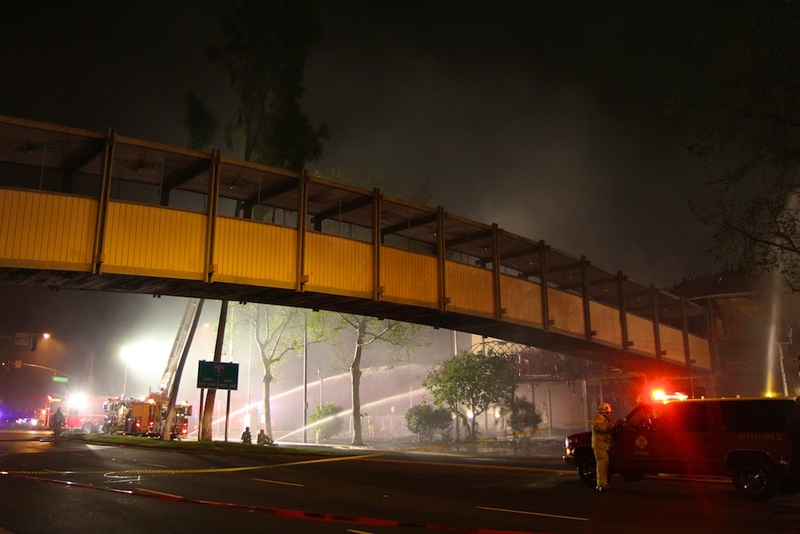 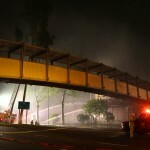 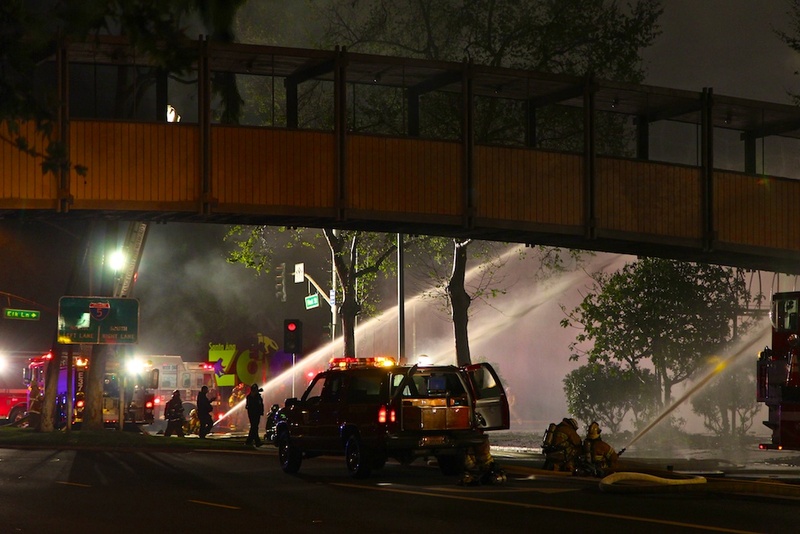 As I photographed, the firefighters cordoned off the area underneath the bridge on First St, causing me to speculate that there may be structural damage to the bridge which may keep First St closed — or may result in the demolition of the bridge itself. 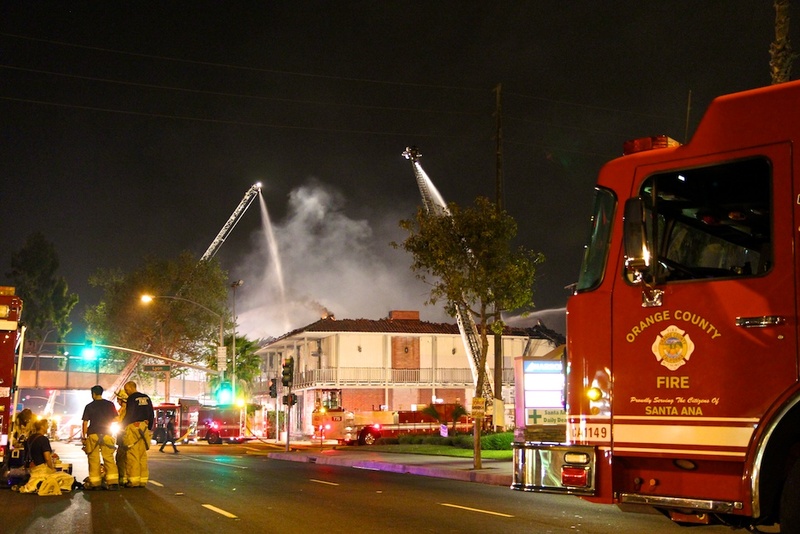 I really like the photos that you are taking of the Santa Ana area. 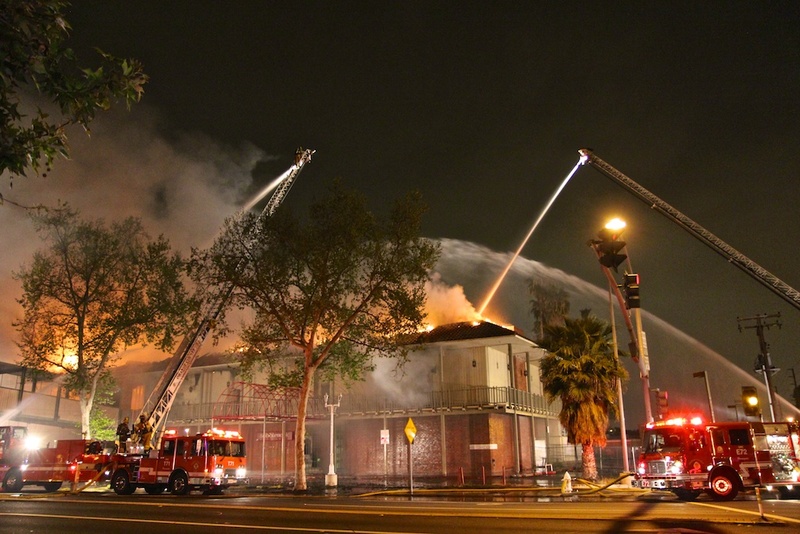 Please let me know if you would ever consider adding any of them to the Santa Ana History Room Archive. 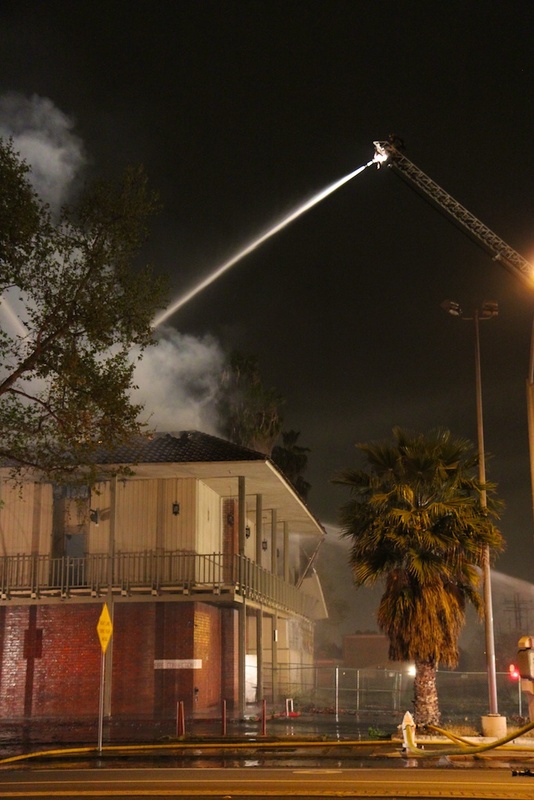 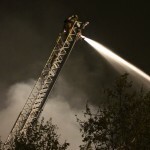 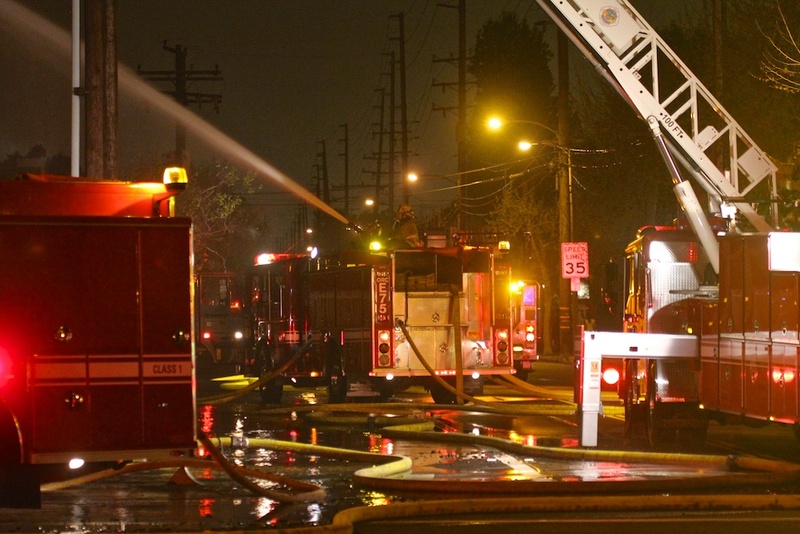 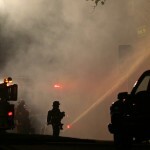 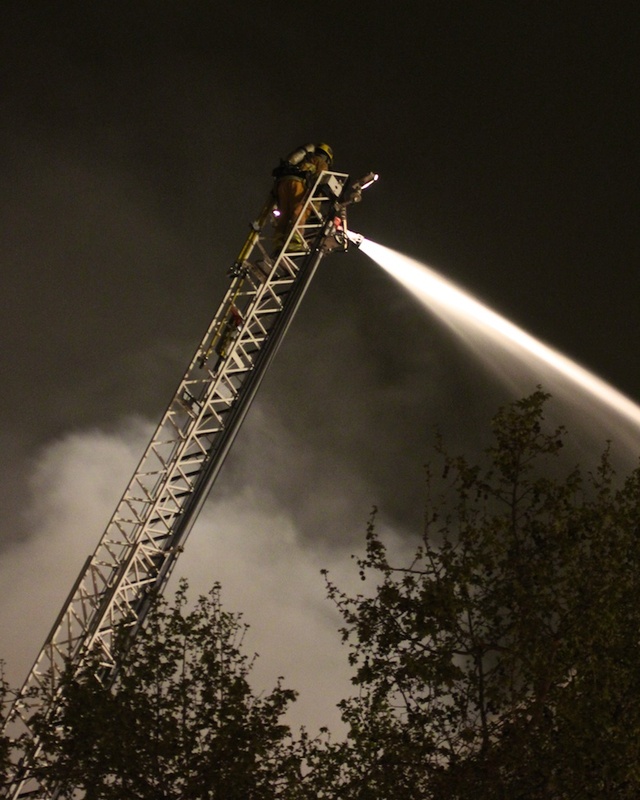 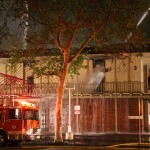 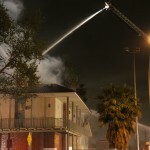 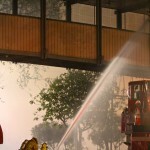 These shots of the fire at the Inn are especially valuable for their historic content.